The single most influential culinary trend of our time is fast food. It has spawned an industry that has changed eating, the most fundamental of human activities. From the first flipping of burgers in tiny shacks in the western United States to the forging of neon signs that spell out “Pizza Hut” in Cyrillic or Arabic scripts, the fast food industry has exploded into dominance, becoming one of the leading examples of global corporate success. And with this success it has become one of the largest targets of political criticism, blamed for widespread obesity, cultural erasure, oppressive labor practices, and environmental destruction on massive scales. 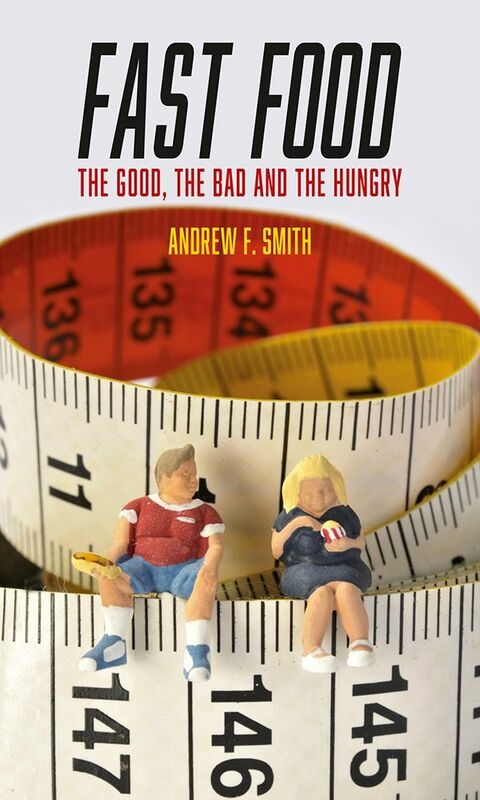 In this book, expert culinary historian Andrew F. Smith explores why the fast food industry has been so successful and examines the myriad ethical lines it has crossed to become so. As he shows, fast food—plain and simple—devised a perfect retail model, one that works everywhere, providing highly flavored calories with speed, economy, and convenience. But there is no such thing as a free lunch, they say, and the costs with fast food have been enormous: an assault on proper nutrition, a minimum-wage labor standard, and a powerful pressure on farmers and ranchers to deploy some of the worst agricultural practices in history. As Smith shows, we have long known about these problems, and the fast food industry for nearly all of its existence has been beset with scathing exposés, boycotts, protests, and government interventions, which it has sometimes met with real changes but more often with token gestures, blame-passing, and an unrelenting gauntlet of lawyers and lobbyists. Fast Food ultimately looks at food as a business, an examination of the industry’s options and those of consumers, and a serious inquiry into what society can do to ameliorate the problems this cheap and tasty product has created. "The controversies related to the fast food industry are responsibly examined by Smith. . . . The work discusses how tie-ins of toys, proximity to schools, and mass marketing through television advertising and social media guarantee fast food popularity with children and teenagers. Smith writes how recent trends toward the use of renewable energy, more nutritious offerings, and more environmentally friendly packaging and architecture are small moves in the right direction. This work includes extensive references that will facilitate further research. . . . Recommended."